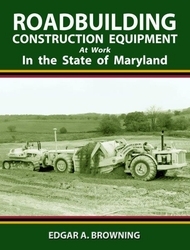 This book, the ninth in the author's series of well-captioned pictorial essays of historical road construction, examines projects in Maryland. Also covers many of the contractors who built them, like Baltimore based giant C. J. Langenfelder & Son. 128 pages, 27 with color.